Not sure how to get this accessorizing thing right? 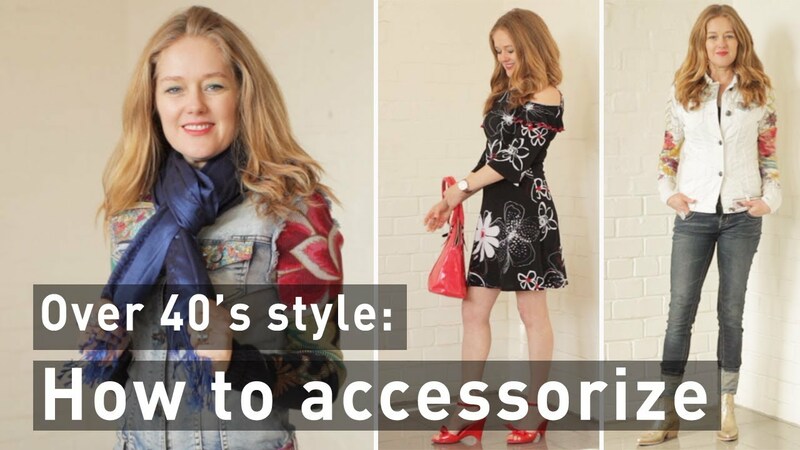 In this video I give my top tips on how to accessorize an outfit with style. So many women ask me, 'What are the rules to accessorizing? Do I go big or small, do I wear scarves, handbags, chunky or petite? I'm just not sure.' Today I'm going to give you tips on how to accessorize an outfit with style. Less is more: She has a few key pieces she wears every day. Statement piece lover: She has a few more pieces than the less is more, but she prefers a few pieces that really make a statement that she will wear for years to come. More is more: She loves accessories, jewellery, scarves, shoes, handbags she loves them all. In fact she usually has more accessories than she has clothes. Less is more: Invest in pieces you will love for years to come. If you want to try accessorizing more, buy a lower cost item till you are sure you love accessorizing with that kind of item before investing. Statement piece lover: continue to carefully curate your pieces. Make sure that you love the item for many years to come and that it goes with the majority of your wardrobe to make the investment worth it. More is more: Spend less on one thing so you can afford a variety. Take note of what you already have before buying yet another item that is similar to the many you have. 1. Choose one main focus piece. If you are wearing an embroidered jacket, wear a pair of shoes that goes well with your jacket, keeping the rest of the outfit fairly simple. 2. Consider your wardrobe before deciding on your perfect accessories. If you wear a lot of plain, then go for a printed bold scarf, but if you wear lots of prints, a plain accent colour scarf will work best. 3.When combining various pieces, choose pieces that work well together, but that don't necessarily match.